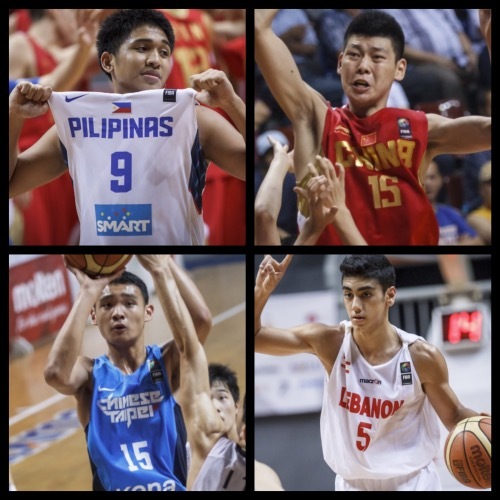 The knockout Quarter-Finals are sure to separate the good from the great in the 2015 FIBA Asia U16 Championship. Here we will take a quick look at each Quarter-Final pairing and see who are favored to advance and who will probably kiss their chances good bye. Chinese Taipei has so far romped over all competition in Groups A and E of this tournament, beating foes by an average of more than 32 points. They are surely the easy picks to advance past the Quarter-Finals against a Thai team that barely snuck into this round after getting their second win at the expense of Iraq. Chinese Taipei shouldn’t have any big problems in this match-up, especially since they have a size advantage in practically every position. Their big three of Lin Ting-Chien, Tang Wei-Chieh, and Wu Pei-Chia should assert themselves here with hardly any trouble. The Thais very nearly bit the dust against the more fancied Iraqis in their final Group F game, but some endgame heroics helped them punch their ticket to the Quarter-Finals. Chinese Taipei, however, will prove to be an infinitely more difficult match-up for the Thais. 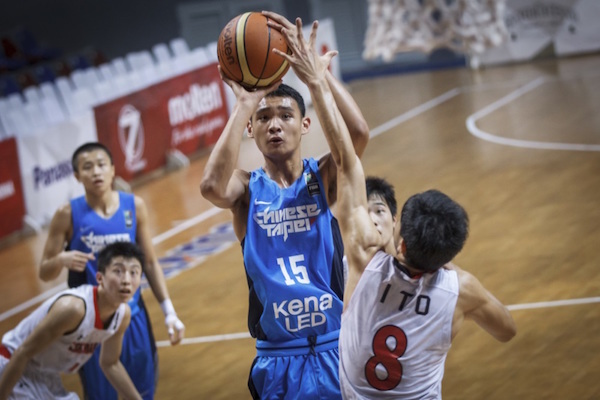 Whereas Iraq only had one or two standouts, Chinese Taipei has more than a handful of talents who can give coach Sopon Pinitpatcharalert a big headache all game long. Needless to say, Thailand will have bring out their very best to even stand a chance. Chang Chen-Ya of Taiwan pulls up in traffic. Lebanon have blown hot and cold this tournament, but they cannot afford to play below their potential against a team as deep and composed as Korea, which has, for the most part, been in sharp form. 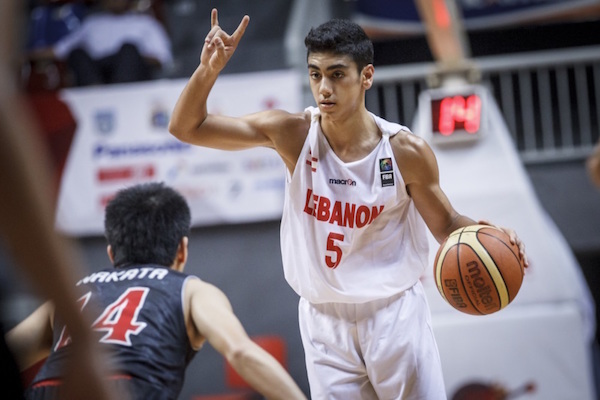 The key for Lebanon will be the combined performance of their big three: Karim Zeinoun, Salim Alaaeddine, and Charbel Saad. Saad has been this team’s rock in the middle, while Zeinoun and Alaaeddine have taken turns puncturing the hoop from the perimeter. If those three can come up with monster games, they have a shot at upending Korea here. The Koreans have been in top form after getting waylaid by China on day three. Since then, coach Oh Se-Il’s wards have gone 3-0 in Group F, highlighted by a pulsating victory over the Philippines, 77-74. Shin Min-Suk, Lee Hyun-Jung, Lee Jung-Hyun, and Yang Jae-Min have taken turns leading the way for Korea, and we should expect no less than outstanding efforts from that quartet the rest of the way. This East Asian squad shold be slight favorites over the inconsistent Lebanese, but this is by no means going to be a cakewalk. Mohamad Captan of Lebanon calls out the play. The Filipinos are currently the darlings of the tournament after they handed the mighty Chinese their first ever defeat at this age level in Asia. Coach Mike Oliver’s wards quickly put their loss to Korea behind them and, despite being severely undersized, managed to pull the rug from under the defending champions. The Filipinos shot very well from long range, hitting thirteen triples against China, and that will be a big factor for them moving forward. Because they don’t have much size, the Filipinos need to wax hot from the perimeter on top of being relentless on defense. Japan, meanwhile, have lost two of their last three outings, and they are surely raring to record a victory. Yudai Nishida seems to have been a perpetually marked man for them, so coach Torsten Loibl needs to find other guys who can contribute significantly. That means guys like team captain Taiga Kagitomi and speedy guard Seiya Takahara really need to step up. Otherwise, Filipino top guns Gian Mamuyac, Jonas Tibayan, SJ Belangel, and Harvey Pagsanjan may just run roughshod over them. 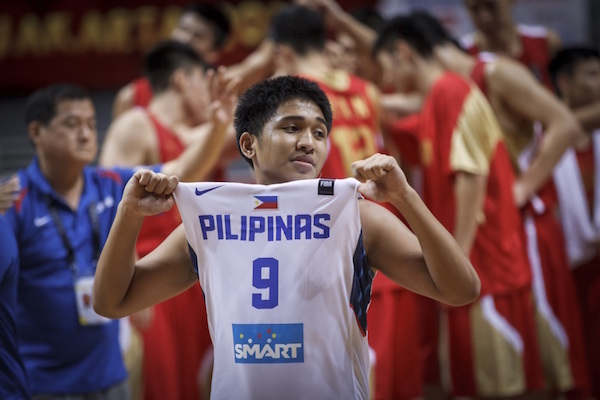 Jethro Publico of Batang Gilas flashes his pride after winning over China. This is the first time that China will be entering the Quarter-Finals coming off a loss, and it will be very interesting to see how they will respond. Coach Wang Jianjun will definitely make adjustments after their unexpected loss to the Philippine on day six, and foremost among those will be taking care of the basketball as they coughed up 27 turnovers in that tragic encounter. Naturally, China should bank on their size advantage the rest of the way, which means Zhu Rongzhen and Li Xiangbo will have to be dominant. Meanwhile, guards like Huang Rongqi and Bai Haotian will also need to step up. Against Kuwait, however, the Chinese need not worry too much. The Gulf nation has won just two games so far, and even then they don’t appear to pose any serious threat to Team Dragon. Still, coach Jesus Lazaro Corral certainly hopes his team can hold their own, and that means relying heavily on the likes of Yousef Husain and Masaed Al-Outaibi. Zhu Rongzhen of China rises above the rest of the field. 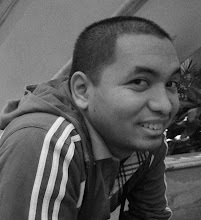 I wrote this, and it first appeared on FIBA.com. All images are from FIBA. 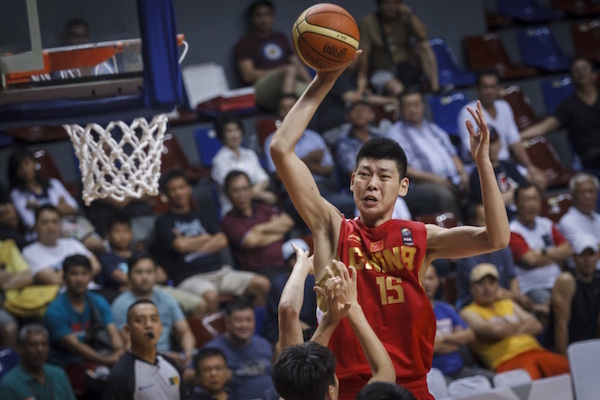 FOR MORE 2015 FIBA ASIA U16 CHAMPIONSHIP ACTION, CHECK OUT OUR DAILY ROUNDUPS!